Talent Cloud® is our award-winning, online modular Talent Management software, delivered from our proven, scalable, reliable and secure SaaS (Software as a Service) infrastructure or on-premise. Ready to take a look at Talent Cloud in more depth? Get in touch to schedule your own demo. We’d love to explore with you how our talent management software may support you – and we can do this by taking you through a demonstration, tailored to your own specific talent management challenges. Take on a single module of Talent Cloud® – or several – and build on this over time as your talent management needs change. Explore and adapt the software combinations we offer if you are a smaller organisation. 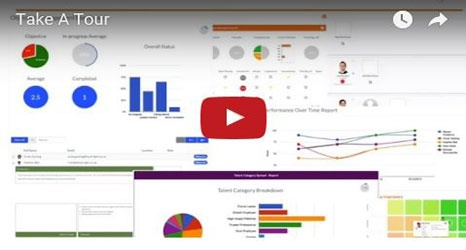 Link and share information between the Talent Cloud® tools. Support is excellent. Reports are very comprehensive. Software is user-friendly and responsive. Our initial focus was embedding successfully the 360 approach but as the SSP Academy Live is to be used across the SSP world, we soon needed to draw on the multi-lingual capability of Talent® and the expertise of the Head Light team to do this. It’s the seemingly small things such as uploading your own photo and customising your own page that has helped us to get ownership of the system! Users have found the dashboard very useful; individuals can see their own progress and what they are working on, and managers are able to check on team performance and progress. As a leadership team we’re able to see who is falling behind in their objectives. It’s important to us to work with people who are as flexible and client-focused as we are and we believe we have that with Head Light.